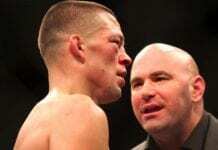 Another fight has been scheduled for April 20th’s ‘UFC On FOX 7’ event in San Jose with former lightweight No.1 contender Nate Diaz taking on incoming Strikeforce veteran Josh Thomson. Diaz is coming off a loss to Ben Henderson in his last fight at the 5th ‘UFC On FOX’ event back in December, but had been on a three-fight winning streak prior to that. Meanwhile Thomson is also coming off an unsuccessful title challenge over at Strikeforce, dropping a decision to long-time champion Gilbert Melendez, though it was a very close fight that ended with a split decision verdict. With that in mind it makes sense to match up these two recent No.1 contenders from their respective promotions together for this fight. Interestingly, this will be the third time that Diaz has appeared on FOX, twice as a headliner with this latest bout likely to be on the main card, so he’s clearly someone that they are attempting to push hard even despite his recent loss on the network which is an interesting strategy. That’s good news for Diaz as it gives him another chance to shine in front of millions of viewers after not having his best performance against Henderson. Thomson won’t be an easy out for him though, but one way or another this has the makings of an entertaining fight. From the looks of things ‘UFC On FOX 7’ is in effect going to be a UFC Vs Strikeforce show with Ben Henderson taking on the recently shut-down promotion’s lightweight champion Gilbert Melendez, while incoming Strikefore heavyweight GP champion Daniel Cormier will face Frank Mir.